Seems like a last chance for both the Brooklyn Nets and the Portland Trail Blazers. The two teams are behind 0-2 in their playoff series with the Miami Heat and San Antonio Spurs respectively, getting a chance to change the impressions with game 3 on their home court. While the Blazers – Spurs series hasn’t been much of a surprise, the Nets should have been a bit more competitive with Miami. However, the Heat are winning the physical battles and are able to free up shooters not named LeBron James quite easily and especially Ray Allen, which is probably like an eye sore for Paul Pierce and Kevin Garnett who are playing according to the date of birth numbers on their profiles. 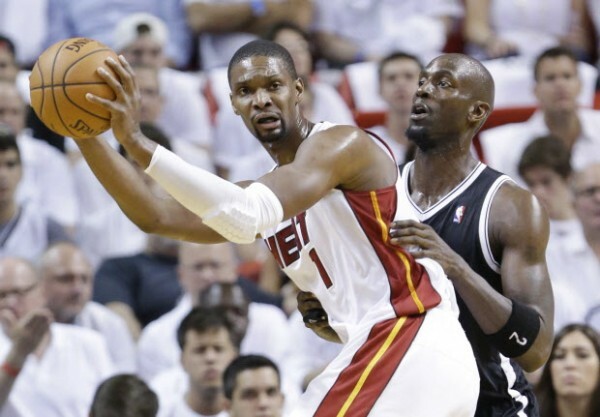 The Heat are still undefeated in these playoffs while James is shooting 56.3% from the floor. This is no longer about him taking over and willing his team to victory on his own. If that day comes, you’ll know that something isn’t working. For now it’s about excellent defense, while every one does his part, with Mario Chalmers deserving just as much credit for his defense as Chris Bosh and Dwyane Wade are getting. The Nets need to forget, if they can, about age and ailing bones. The ball has to move more quickly. The isolation plays that Joe Johnson, Deron Williams and Paul Pierce are trying to do aren’t working. What made the Nets do so well against the Heat in the regular season is gone, and tired minds and legs can’t seem to find those answers anymore. Relying on Mirza Teletovic and Alan Anderson to get them there isn’t going to end well. The Blazers are now playing against a real playoff team. All we’ve been hearing from their players is how difficult it’s been against the Spurs when compared to the Rockets. About how well they move the ball. About how well they move on defense. About how hard they screen. The frustration, which is beginning to sound like desperation from a young team that still isn’t up for the challenge of playing against real title contenders. 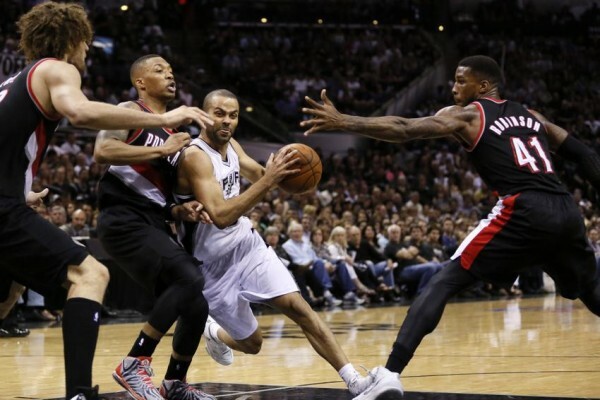 Tony Parker is having his way with Damian Lillard and the Spurs are opening games in such a way that kills off Blazers hopes early on. One night it is Lillard who is being subdued, the other it has been Aldridge with some excellent work from Tiago Splitter. But as Portland have been struggling on offense, it begins with how badly they’ve been doing defensively. The Spurs have had only 53.1% of their shots contested in the series, compared to the 64% they’ve been able to contest when Portland has the ball. Better shots, and the Blazers haven’t been able to get into transition as much as they’d like. Maybe someone hasn’t been watching enough gametape from the Spurs-Mavs series, but unless Portland start shooting like they did early this season or defending like they never have, this series is going to end very quickly.